From Girl Scout troops to families, Orange County Recycles Day is a must-attend event when the County celebrates the annual day set aside to focus on the importance of recycling. 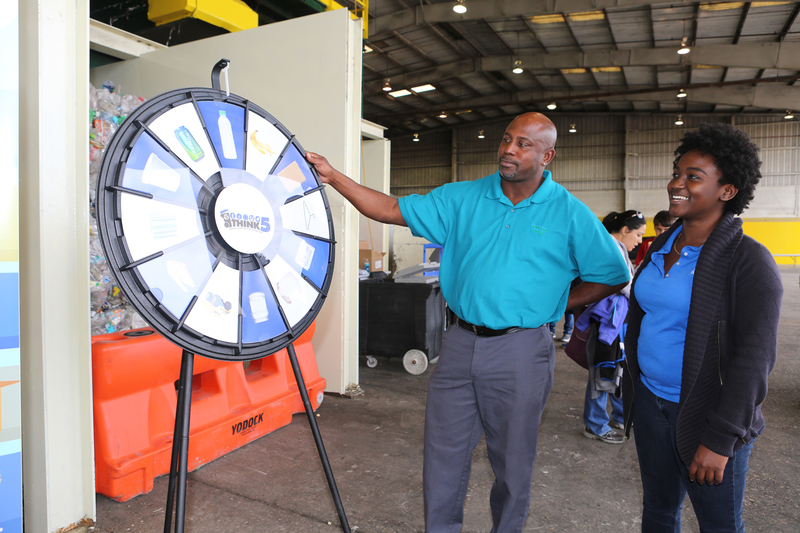 On Nov. 10, 2018, more than 800 residents attended the annual family-friendly event at the Orange County Landfill located in east Orange County. Every year in mid-November a day is set aside as part of a national initiative by the Keep America Beautiful organization as America Recycles Day and proclaimed locally as Orange County Recycles Day. The free event hosted by the Orange County Utilities Solid Waste Division features many hands-on education activities including a tour of the landfill. The recycling team is committed to education not just on the annual day, but every day. This includes teaching customers to “Think 5” meaning that only five types of materials are recyclable in the County curbside collection program. Those items are: plastic (#1-#5), metal and glass containers as well as cardboard and paper. Recently, the team concluded a pilot program to give curbside feedback to customers by tagging recycling carts. “As recycling markets change, we remain committed to doing everything we can to help Orange County learn best practices for recycling right,” said David Gregory, manager of the Orange County Utilities Solid Waste Division. For more information, visit www.ocfl.net/recycles.